"A PROFESSIONAL BRICK & MORTAR FLY FISHING PRO SHOP & OUTFITTER SERVICE"
The Yakima River is Central Washington's premier wild trout fishery. 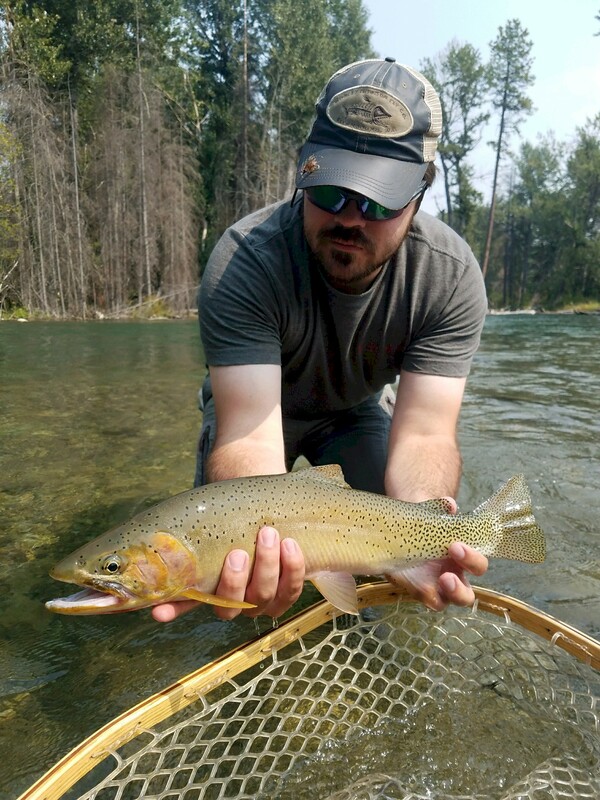 It proudly supports hundreds of wild, naturally spawning fish per mile and provides fly fishermen from around the world, a unique and exciting year round, fly fishing experience. This fabulous, Central Washington Blue Ribbon River, offers the fly fishing enthusiast with a thriving trout population, miles of public access, and a distinct, selective gear regulation to protect the natural resource. The Upper Yakima River is open to fishing 365 days a year, is a catch & release single barbless fishery, and no bait can be used at anytime. Throughout the peak of the fly fishing season, a fly fishermen can experience an intense, match the hatch, aquatic insect event as mayflies, caddisflies and stoneflies emerge. Absorb some of Washington States, most spectacular visionary scenery and encounter a variety of wild game, wild birds and plant species along the riverbanks during the day. Over thousands of years, this powerful river has sliced it's way through the valley floor, cutting through huge, jagged, basalt stone canyon walls, before reaching it's final destination with the Columbia River, well over 200 miles from its original origins. This blue ribbon trout stream, originates from the water's of the Stuart Mountain Range. The rugged, Granite peaks of Mt. Daniel and Mt. Stuart tower over the Kittitas Valley at elevations exceeding 9500 ft. The high mountain snows of winter, blanket these mountains most of the year, creating the annual water reserves. When these snows begin to melt in the early spring, 4 separate man-made reservoirs, that have been strategically fashioned, collected these melting snows. It is from these waters in which the majority of the Yakima River flows throughout the year. When the snow pack begins to melt in the spring, vast amounts of water burst from numerous high mountain lakes and small, mountain streams in the Cascades. Small tributaries of the Yakima fill, exploding with the winters snow pack accumulations. The majority of the water is captured in the reservoirs, unfortunately not one hundred percent of this resource. Larger tributaries like the Teanaway River and smaller mountain streams like the Tanuam and Swuak Creek, erupt with alarming amounts of water, and collide with the Yakima, creating at times unruly water conditions. As the water continues to flow, the 4-man made reservoirs begin filling, collecting the waters that will be used throughout the season to nourish the fields of Kittitas, Yakima and Benton Counties. The reservoirs also provide the cool, clear water that has crafted one of the finest trout fisheries in the west. These reservoirs store massive amounts of water, behind man made impoundments of wood, stone and concrete. After this natural spring water event has run it's course, the water that flows through the Yakima is strictly controlled by the use of the storage reservoirs. The water is released from these facilities to vacillate farming irrigation and water needs as well as providing valuable fish habitat and fly-fishing recreation. The Keechulus, Kachees, Easton and the Cle Elum Reservoirs, supply the Upper Yakima River with the necessary water to produce some of the finest fly fishing, the Evergreen State has to offer. Here, fly-fishermen come to test their skills, find peace, and make new, long lasting friendships with the river. 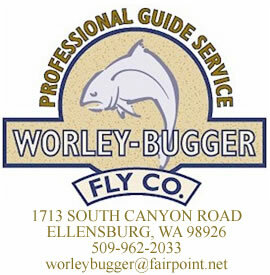 For the staff of Worley Bugger Fly Co, fly-fishing the Yakima River is our way of life. We have chosen this profession because of our deep passion, commitment and dedication to the environment, the river and the precious resource it provides. As a responsible, professional outfitter, we realize that added fishing pressures are applied to this resource throughout the year. Working closely with local fisheries biologists, state fisheries agencies and local fly fishing clubs, the staff and guiding team of Worley Bugger Fly Co., actively participate in maintaining this beautiful flowing stream and enhancing the quality of the river for everyone to enjoy. In October of every season, WBFC host's the Tim Irish, Yakima River Clean Up, which is volunteer clean up and community charity event, that is now two decades strong in the making. We encourage everyone to come and participate in this fun, annual public event. Before the introduction of white settlers to the valley, the Yakama Indians made their home here, living on the vast stocks of fish and game, the river and land provided. Abundant runs of wild Spring Chinook Salmon, Sockeye Salmon, Coho Salmon and Steelhead made the adverse journey returning each season from the Pacific Ocean. These important fish, traversed the Columbia River to return to the spawning grounds of the Yakima for centuries. Native Bull trout and Cutthroat were plentiful in the main stem and small tributaries of the river as well. By the late 1890's irrigation dams and canals were built and placed on the lower river with little or no fish passage available for these anadromous fish. In 1939, the Roza Dam, a hydro-electric/irrigation diversion dam located 18 miles south of Ellensburg in the Lower Yakima River Canyon was constructed. Upon its completion, the last remaining runs of wild steelhead and salmon were barricaded, unable to reach their sacred spawning grounds in the Upper Yakima Basin. The dams fish passage for steelhead and salmon was not a concern until the mid 1980's, when new legislation under the Endangered Species Act, constituted reconstruction of the dam facility. Once construction was completed these sea-going salmonoids, once again had access to the Upper Yakima River Watershed. However, by the time the project was completed, over 50 years had passed and the wild steelhead of the Upper Yakima River Basin had nearly gone extinct. To this day less than 1% of the original run, returns to the upper river for spawning. The majority of Yakima River steelhead today relies on the tributaries of the Lower Yakima as well as the Naches River for spawning purposes. In the early 1980's, special fishing regulations were put in place on the Yakima to help strengthen the numbers of rainbow trout that had been stocked for decades by the Fish & Game commission. With the help of local fly fishing clubs and agencies, the start of the 1990's provided Washington state fly fishermen with the first no kill, catch & release, bait prohibited trout fishery. 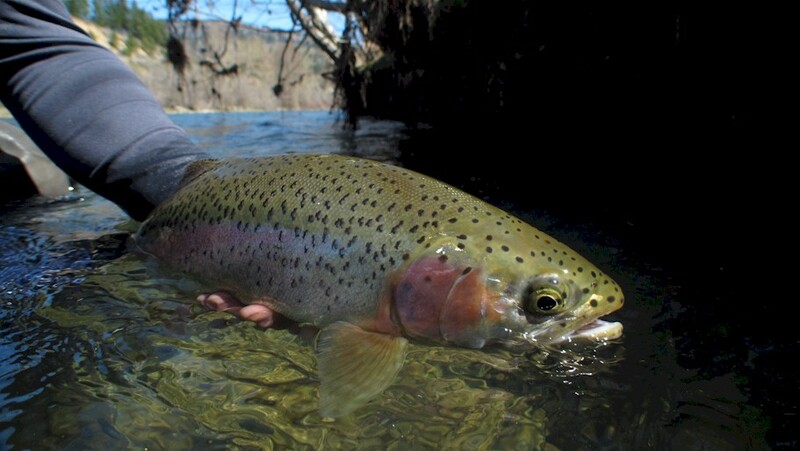 Protection of a naturally spawning wild rainbow population was in place. This protection would insure future generations of naturally spawning, self staining rainbow and cutthroat trout populations, already well established in this Central Washington Watershed. With trout sizes and population densities steadily increasing, the Yakima is becoming legendary with fly fishermen world-wide as they make the journey to fish it's trout filled waters year after year. 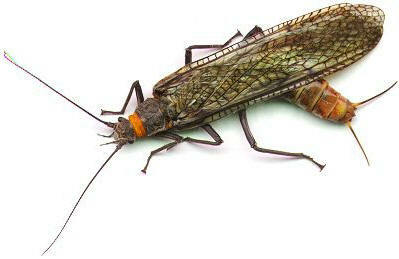 With the construction of water retention reservoirs and diversion dams around the turn of the century, an aquatic insect population has thrived. It has created a virtual abundance of stoneflies, caddisflies as well as several different species of mayflies that will emerge throughout the season. The Yakima is also home to several species of baitfish, including Sculpin, Dace, Stickleback and Red Side Shiners. A substantial population of crustaceans such as scuds, snails and Crayfish also coexist within the waters of the Yakima. These larger food items play an important part of the dietary consumption for the resident fish throughout different stages of the year. In the late 1990's, a reintroduction of salmon to the Yakima River system was initiated in the upper watershed. The goal in the beginning, was to restore Spring Chinook to the upper river. A hatchery facility was constructed in the town of Cle Elum along the banks of the Yakima. Here, fishery consultants had the technology to use wild brood stock captured during the migration from salt to fresh water and begin re-building the stocks of fish. It is still an on going effort that has shown much promise. Now, Sockeye and Coho Salmon are among the other anadromous fish stocks that are being revitalized in the water shed as well. The Yakima River, is a big western stream that flows with intense water flows, the majority of the year. From the month of April to September, the river is swollen from bank to bank with powerful, heavy water currents. Irrigation demands from farmers in three separate counties in Central Washington, dictate their water needs and the Yakima fills to capacity and is amplified with water. Annual water flows between this period average 4000cfs or better (cfs=cubic feet per second). It is during these times of the year, that the river is most productively fished from the confines of a drift boat. Because of the water volume, wading the river this time of year is hazardous and not recommended and in most instances, impossible. Once the flip-flop is initiated in early September, the flows will steadily drop and the opportunities to wade fish the river will begin. 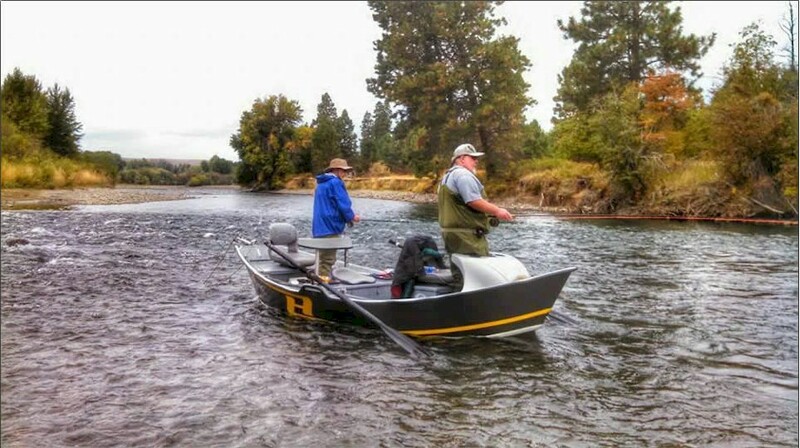 The WBFC, full day and half-day fly-fishing adventures on the Yakima River are conducted from a warm, safe, comfortable, McKenzie style fiberglass drift boats. These boats are configured exclusively for fly-fishing and provide adequate room, stability and comfort for each fisherman. Floating any of our big western rivers, especially the Yakima with a qualified oarsman at the helm is a fun and rewarding experience in itself. As your professional fly fishing guide, glides the boat down and across the river, your skills will be called upon and challenged. With guide encouragement and instruction, you can precisely place your fly tight along a grassy undercut bank, underneath overhanging vegetation or placed ever so lightly along a thick foam line. These exciting challenges provide you with a fun and rewarding fly-fishing experience throughout the day. Fishing from the drift boat with a qualified guide also gives you an overall strategic advantage as appose to walking the banks and streambed of the river. Having the ability, as well as the versatility to move and cover more river quickly as well as being able to anchor the boat and target specific areas of the river, provides you with the tactical advantage needed throughout the day. The Hyde and Clacka Craft Drift Boats are our brands of choice to perform these duties. These boats are guide friendly, safe, reliable and have become the workhorse of the industry. There is plenty of storage capacity for extra rods, gear bags and additional clothing. Always come prepared for changing weather conditions. Feel free to contact WBFC with any questions you may have regarding our Yakima River Fly Fishing trips. Reserving your fly fishing day with one of our professionals is simple. Call us directly or stop by our brick & mortar proshop in Ellensburg. A friendly staff member will be happy to speak with you and answer any questions you may have and arrange your day of fly-fishing on the Yakima River.
" A PROFESSIONAL BRICK & MORTAR FLY FISHING PRO SHOP & OUTFITTER SERVICE"